Two British Muslim leaders seeking the release of hostage Ken Bigley have met with Iraqi president Ghazi Yawer. Dr Daud Abdullah and Dr Musharraf Hussain, of the Muslim Council of Britain, are now talking with senior Muslim scholars in Baghdad. Meanwhile, Tony Blair has warned against "raising false hopes" that Mr Bigley will freed. And Yusuf Islam, the singer formerly known as Cat Stevens, pleaded for the 62-year-old engineer's life. The prime minister told BBC One's Breakfast with Frost programme the nature of the people holding Mr Bigley meant there were limits on what his government could achieve. He said: "My first reaction is the reaction of anyone, which is real sympathy for him, anger at how he is being held by those people and an earnest hope that, despite all the difficulties, we can do something. "But I just don't know if we are able to or not. There is no point in raising false hopes because of the nature of the people we're dealing with." However, he added the government was doing all it "properly and legitimately" could. Delegates at Labour's annual conference in Brighton have voted to hold a debate on "Britain's role in Iraq". Dr Abdullah and Dr Hussain are not expected to have any direct contact with the kidnappers, but have said they wanted to get a "humanitarian" message to them. "I think as fellow British citizens, it is our responsibility to do what we can. I believe in the power of prayer," said Dr Abdullah, who arrived in Iraq on Saturday. Muslim peer Baroness Uddin told BBC Radio 4's World This Weekend the trip was a "futile gesture". But Home Secretary David Blunkett rejected her criticisms. 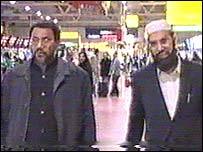 "This was the idea of the Muslim Council of Britain and they feel - and I believe they are - representative of the Muslims of this country. "If they feel they can make any contribution whatsoever, then I think we should encourage and support them in doing so," he said. Yusuf Islam, also a council member, sent a letter to the British embassy in Baghdad pleading for the hostage to be released. "I request you, in the name of Allah... to release British citizen Ken Bigley for the good name of our religion," his letter stated. 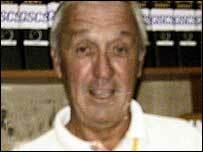 Mr Bigley, a civil engineer from Liverpool, was captured at gunpoint in Baghdad with two American colleagues, who have both since been murdered. He is being held by the hardline Tawhid and Jihad group, led by Abu Musab al-Zarqawi, one of the world's most wanted men. They have demanded the release of all women prisoners held in Iraq. American forces have carried out air strikes against the Iraqi city of Falluja, where they say militants loyal to Zarqawi have stored explosives and ammunition. Doctors in Falluja say the raids, on Friday and Saturday night, have killed 15 people including women and children. The hostage crisis is expected to cast a cloud over the Labour conference in Brighton. Mr Bigley's brother Paul is expected to take part in a fringe conference meeting entitled Iraq: War Crimes, War Criminals, organised by Labour Against the War, on Sunday. Paul Bigley has previously criticised Mr Blair for "only going through the diplomatic instruction book" in his efforts to free his brother. The last known word on Mr Bigley was on Wednesday, when he was seen in a video released by his captors begging Mr Blair to help save his life. Mr Bigley's mother Lil, 86, has been admitted to hospital for a second time since he was seized on 16 September. She fell ill after making a televised appeal to the kidnappers on Thursday.